I have a kid in my class who always drops his books. When you carry all your books around it is inevitable to drop something. But, do you have to kick it down the hall before you pick it up?! This happens all the time, with multiple people. I hate it even more when its a book I love!! Why do we kick books? Also, I have issues with highlighting and writing in books. Why could you not use a different paper! It is not as bad as writing on a book for no reason. 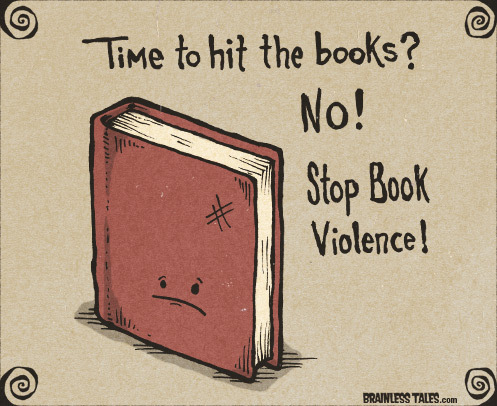 Please STOP abusing books!